Suitable for high velocity applications. Please note that these items are custom made to order. Please contact us for a lead time. 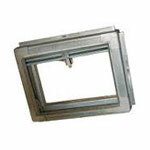 All fire dampers must be installed in accordance with manufacturer instructions and current building regulations.